“Real Housewives of Beverly Hills” cast member Teddi Mellencamp has carved out a niche for herself as a fitness influencer and accountability coach. So it follows she is now accountable for the sale ($3.2 million) or lease ($17,000 a month) of her former home—a residence Bravo watchers are very familiar with. 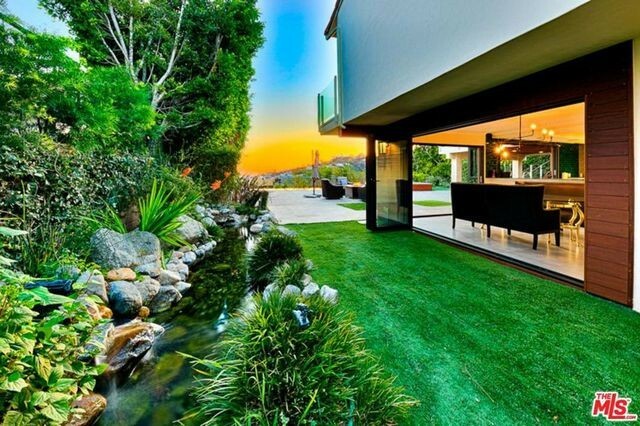 Located in the Hollywood Hills neighborhood known as Olympus Cove, the home is camera-ready. “RHOBH” watchers already know Mellencamp and her family are already ensconced in their new $4.07 million home. The reason for the move to a new residence? 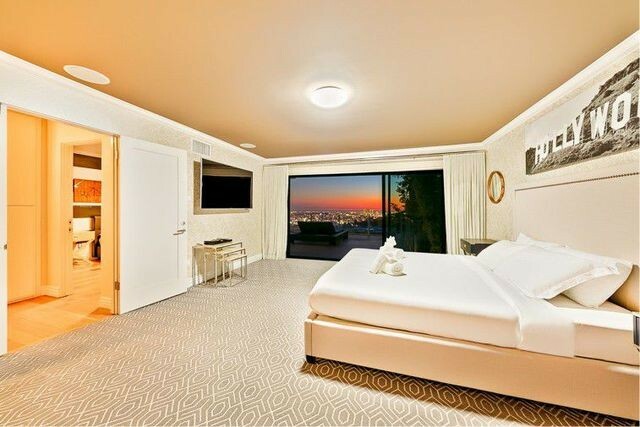 Here’s the tea though—the house now on the market also has a spectacular view overlooking Hollywood and the rest of Los Angeles. Some might even prefer Mellencamp’s former house over the new one, because the one she’s selling has a grassy, tree-filled backyard with Zen gardens, decks, a koi pond, bubbling brook, and infinity pool and spa. Mellencamp and her husband bought the contemporary-style home in 2011 for $1.8 million. Built in 1978, it has been substantially renovated and updated with all of the modern conveniences. Perhaps the most famous room in this house is the light-filled kitchen bedecked with striking turquoise tiles. It features modern appliances, including a show refrigerator, and opens to the outside via a huge window right behind the sink. 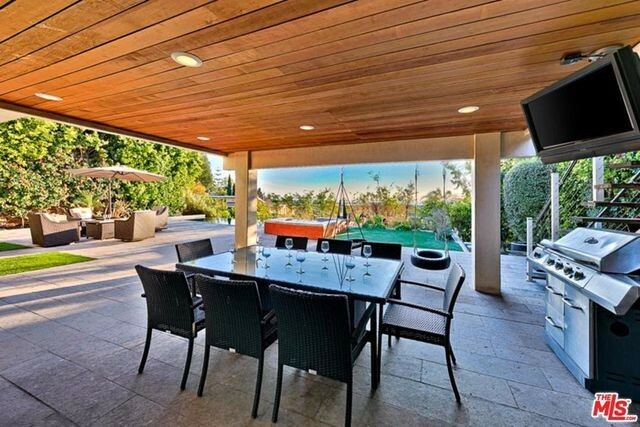 Outside, there’s also a well-equipped kitchen protected by a spacious deck overhang. A teak ceiling with recessed lighting provides an elegant covering, while cool breezes flow through the space on three sides. There’s also a suspended flat-screen TV, for watching Bravo alfresco. The master suite is a showstopper. Not only does it offer views of the city, but it also has separate closets and a private deck. 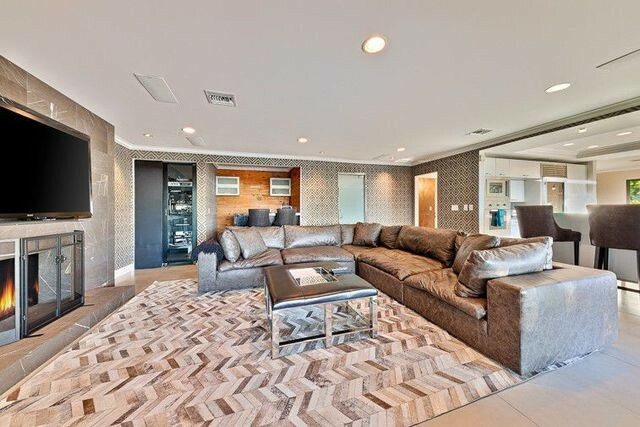 The 2,918-square-foot home has four bedrooms and three baths. The children’s rooms are decorated for fun and style—we especially love the room with a chalkboard wall. The spacious family room centered around a large fireplace makes for an ideal gathering spot. It features a bar, and opens up to the kitchen. The living room just off the entry is suitable for more formal entertaining. 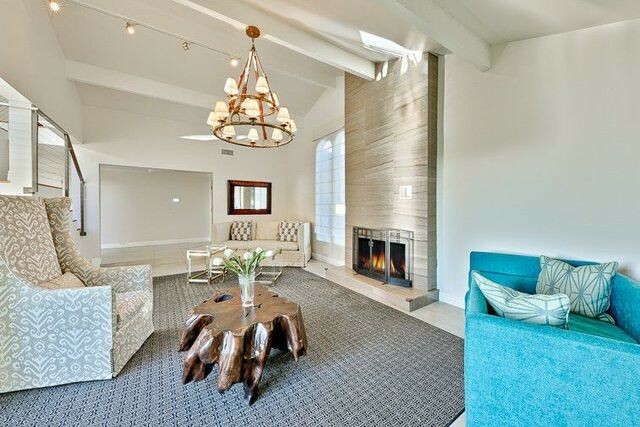 It also has a large fireplace, and is bathed with natural light—ideal for filming. Mellencamp, who joined the “RHOBH” cast in Season 8, is a former champion equestrian. She currently runs a boutique company called All In by Teddi. 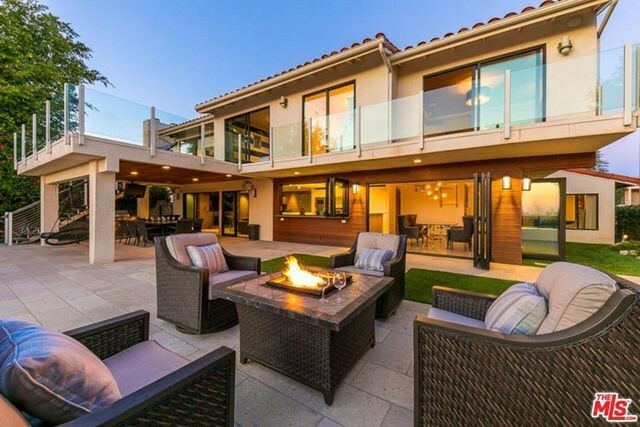 The post ‘Real Housewives’ Star Teddi Mellencamp Selling or Renting Out Her L.A. Home appeared first on Real Estate News & Insights | realtor.com®.